Sometimes I miss teaching philosophy. 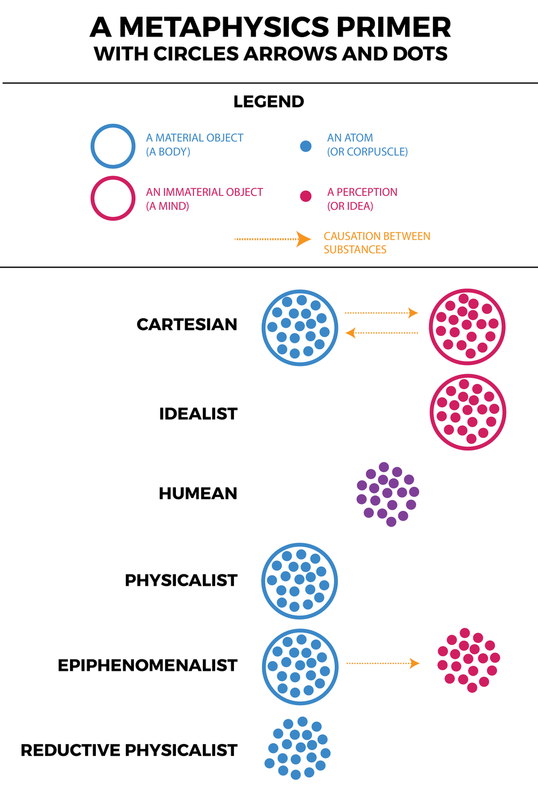 This evening I wanted a quick project, so I tried to design a metaphysics primer using only dots, circles, and arrows. Philosophers would object to some of my characterisations, but that's fine. The job of this primer is only to start discussions, and to give students a visual aid to consider the history of metaphysics.